While symphony concerts have gained a reputation of being boring or stuffy, the Fargo-Moorhead Symphony Orchestra (FMSO) is proving these outdated beliefs are wrong. Let’s learn more about the FMSO with Executive Director Linda Boyd. How did the FMSO come to be? Linda Boyd: The symphony started as a group of local musicians playing together for fun nearly 100 years ago. In 1931, the group officially incorporated, making the organization 87 years young. In what ways can people get involved — on stage or off? LB: If you are in your 20s or 30s, we have a special networking group just for you called Urban Overture. On the Wednesday prior to each Masterworks Series concert, we host an Urban Overture event, where we offer a free wine tasting, appetizers and a short performance featuring guest artists. These events are free for ages 21-39, as we are hoping to introduce more young adults to the excitement the symphony has to offer. As an Urban Overture member, you also get special discounted tickets. You can join us as a guest, or we are always looking for volunteers to help us ensure the event runs smoothly. Aside from Urban Overture, we have volunteer opportunities for people of all ages, from helping with our annual Young Artists Solo Competition to planning the pre-party festivities for Symphony Rocks. How do live entertainment options affect a community and the culture? LB: Live performances of all kinds reflect the personality and vibrancy of a community and go a long way toward establishing its identity. Memphis, Seattle, Nashville, Austin, New Orleans and Chicago are all cities that are known, in part, for their signature musical scene and sound. Fargo, on a somewhat smaller scale, has an identity of its own as a place where young entrepreneurs interact with a progressive establishment — which can also describe its rich and varied musical scene. What about FM Symphony specifically adds to the culture of Fargo-Moorhead? What’s unique about it? LB: Having a top-notch symphony orchestra in the community is kind of like having a six-time national championship football team — it gives people the opportunity to experience breathtaking excellence in performance right before their eyes, over and over. If you have never been to a symphony concert, you might think it would be a stiff and formal, maybe boring or even intimidating experience. “Christopher introduced the guest artists, men from Turkey, Macedonia and Syria — parts of the world I have no personal connection to and only know through news coverage. But I can’t honestly say that isn’t true anymore. Syrian composer Malek Jandali’s talk moved me to tears as he referenced an ancient Syrian melody that could be heard in the centuries-old Jewish temples, Christian churches and Muslim mosques, all on the same streets of Syrian towns, and all now completely destroyed. “But do you know what lives on, beyond the hate and destruction? That melody lives on because he wove it into his stunning piece, ‘Variations for Piano and Orchestra.’ Somehow, in the midst of absolute destruction, this melody, one that has sustained people through time and tragedy, across the centuries, was played by our symphony, people who live and work in our community. 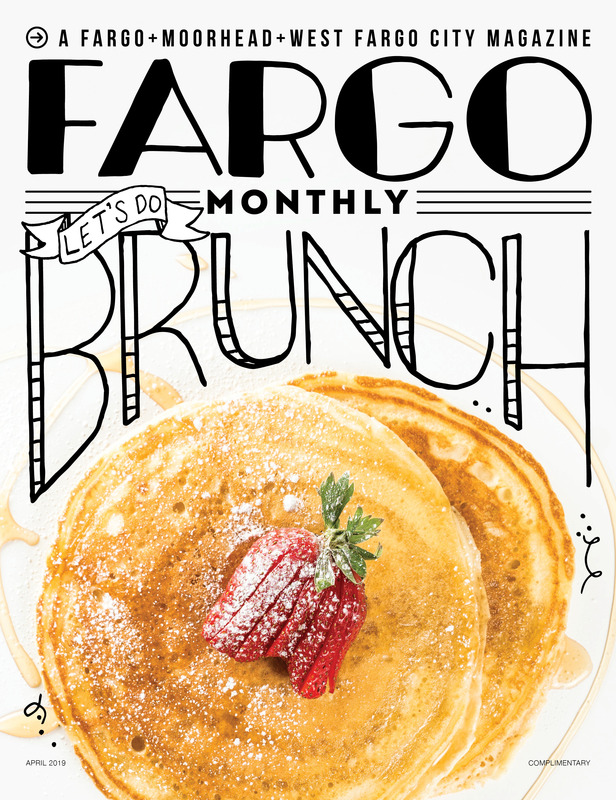 Saturday, March 17 at 7:30 p.m.
Sunday, March 18 at 2 p.m.
Saturday, April 14 at 7:30 p.m.
Sunday, April 15 at 2 p.m.
Sunday, April 29 at 2 p.m.
Fargo Monthly Editor Kara Jeffers is from Garrison, North Dakota, a small town north of Bismarck, North Dakota, on Lake Sakakawea. She graduated from North Dakota State University in May 2017 with a bachelor’s degree in journalism and minor in theatre arts. In addition to working at Spotlight Media, Jeffers also works at the Fargo-Moorhead Visitor’s Center, where she’s one of the first people (and, at times, the only person) visitors meet when they arrive in North Dakota—talk about pressure.